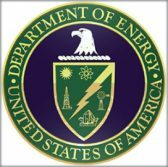 The Department of Energy is seeking a woman-owned small business to provide IT services to help the Office of Radiological Security protect public and private facilities housing radioactive materials. In addition to assisting ORS in its cybersecurity and physical security initiatives, the contractor will also support the International Atomic Energy Agency by establishing cyber and physical awareness training programs and developing cybersecurity guidelines to fortify defenses at radiological facilities, according to a notice posted on FBO.gov. Under the agreement, the contractor will act as project lead for technological security initiatives and collaborate with ORS staff, the Department of Homeland Security, the Nuclear Regulatory Commission and local and international stakeholders. Additional tasks include conducting cybersecurity reviews with the NRC and IAEA, developing scenarios that simulate threats to cyber and physical security and facilitating assessments of ORS-deployed equipment such as commercial off-the-shelf security platforms and non-commercially available radiological material security equipment. The DOE will accept responses to the solicitation until Aug. 30.